Mazda’s innnovative i-ACTIV AWD® all-wheel drive system* can sense road conditions and predict potential changes in traction, then split torque between the front and rear wheels to help prevent wheel slippage. 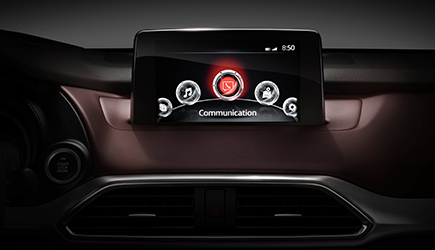 Welcome to Mazda CONNECT™, an infotainment system* that lets you control and customize your Mazda’s features, connections and entertainment. Everything is easy to find and use with the Commander control knob or a few taps on the large touch screen. 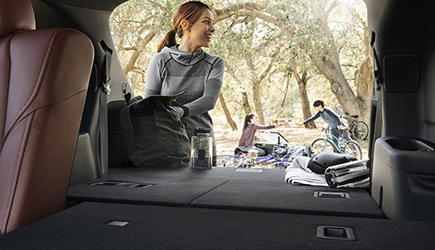 The spacious cabin accommodates up to seven passengers, with easy access to the third row. *Don’t drive while distracted. 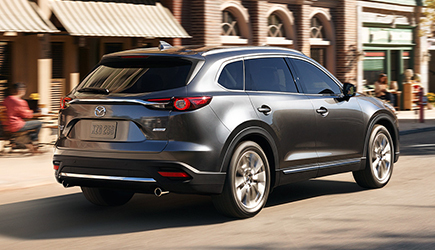 Even with voice commands, only use MAZDA CONNECT™/other devices when safe. Some features may be locked out while the vehicle is in motion. Not all features are compatible with all phones. Message and data rates may apply. 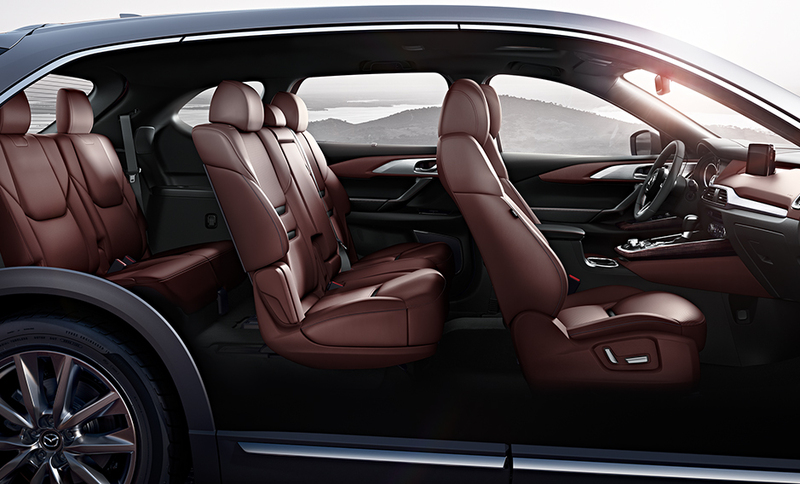 such as Nappa leather, genuine Rosewood and aluminum trim.